Toys R Us will close all 800 of its stores, resulting in the loss of 33,000 jobs in America and subsequent liquidation sales. Toys R Us’s battle with bankruptcy has officially come to an end for the iconic and embattled toy retailer. Toys R Us was founded 70 years ago, growing into one of the largest American specialty toy retailers in America and selling millions of toys, games, and playthings to millions of kids for generations. I vividly recall in the 80s and 90s, Toys R Us was THE destination to pick up the hottest and coolest new toys and video games. There was so much excitement revolving around Toys R Us and it was literally the place where kids’ dreams would come true! I still remember all the fun I had with my Toys R Us toy truck, taking it on all sorts of imaginative adventures! Practically anyone who has been to Toys R Us will have a fond memory of their own personal Toys R Us experience and will never forget their memorable and famous jingle, “I don’t wanna grow up, I’m a Toys R Us kid.” And who can forget their mascot Geoffrey the Giraffe? 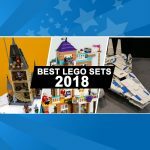 These are all going to be cherished memories that will last a lifetime and the sad reality is that some kids may never get the opportunity to experience something as magical as this, albeit the experience may have drastically changed over the years. Toys R Us’s CEO David Brandon made it official by announcing that the company has filed liquidation papers. So now Toys R Us will close all 800 of its US stores as well as all 100 UK stores. In the US, this will result in the loss of roughly 33,000 retail jobs. 3,000 jobs will be impacted in the United Kingdom. Previously, we had reported that Toys R Us would either close or sell all of its stores. Toys R Us had amassed over $8 billion in debt and its last hope was to either find a buyer or restructure its debt. So six months after filing for bankruptcy, it’s all over for Toys R Us. It’s a very sad day in history especially for the toy industry and all of Toys R Us’s loyal employees. This will deal a pretty big blow to the toy industry, as Toys R Us generated roughly 15 percent of US toy sales. The underlying problem was Toys R Us was working with an antiquated business model and could not keep up with competition from the likes of Walmart, Target, and Amazon. This past holiday season was especially troubling for the once preeminent toy retailer. After filing for bankruptcy and the bleak outcome of the holiday season, in January Toys R Us announced that it would close 182 stores in its attempts to turnaround the company from bankruptcy. The company was optimistic that it could rebound after filing for bankruptcy, but the holiday season dealt a pretty severe blow and reality check. News later broke that Toys R Us would consider closing an additional 200 stores. Some analysts even believed that Toys R Us would need to operate fewer than 200 retail stores in order to remain viable. 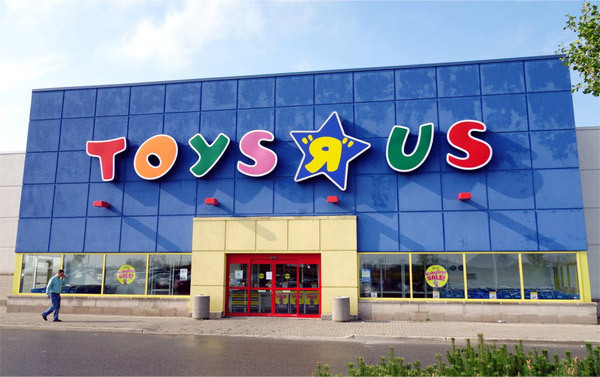 Interestingly, yesterday a group of toymakers, led by Isaac Larian, CEO of MGA Entertainment, made a bid to purchase Toys R Us’s Canadian stores, which includes about 82 stores. Larian also expressed his interest in purchasing up to 400 U.S. Toys R Us stores. 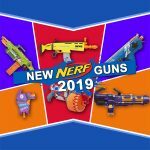 If approved, he plans on continuing to operate them under the Toys R Us brand. 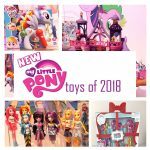 Larian said in a statement: “There is no toy business without Toys R Us. 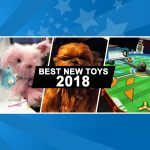 It’s a big deal and I’m going to try to salvage as much of it as possible.” Many of the smaller toy companies would be shut out without a store like Toys R Us around. Based on prior history, companies like Walmart and Target would be less likely to take risks with new toys from smaller companies. Despite turnaround efforts to install “play labs” and invest in e-commerce, experts say the company failed to bring customers back to its stores. Compared to the competition, it doesn’t offer the lowest prices and convenience, nor does it deliver the fun experience of smaller chains. In the wake of the announcement, Senator Charles Schumer from New York urged Toys R Us to provide cash for consumers’ unused gift cards. Additionally, he urged the FTC to more closely examine how Toys R Us is bringing its operations to a close. Toys R Us started out in 1948 as a baby furniture shop called Children’s Bargain Town. Charles Lazarus, the founder, later changed the named of the company to Toys R Us after deciding to incorporate toys into his business. During its prime time, Toys R Us had a flagship store at New York Times Square, which later closed down. But in recent times, Toys R Us stumbled and lost its dominant position in the toy industry to retailers like Walmart, Target and Amazon – who sold toys with lower profits. With mounting debt piling high, Toys R Us was unable to adequately invest in its stores and online to remain competitive. 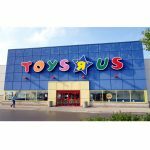 This is a really sad day in history – the demise of an iconic American toy retailer that made millions of ‘Toys R Us’ kids from countless generations happy. Farwell Toys R Us, we’ll miss you dearly! However, we’ll never forget the timeless memories, as we’ll always be Toys R Us kids. You’ll always have a special place in our hearts and minds. To all the displaced employees – we wish you all the very best in promptly securing employment. What are your favorite memories from Toys R Us? We’d love to hear from our fans!